55+ Golf Community- 20' x 52'- 2 Bdr./2Bth. 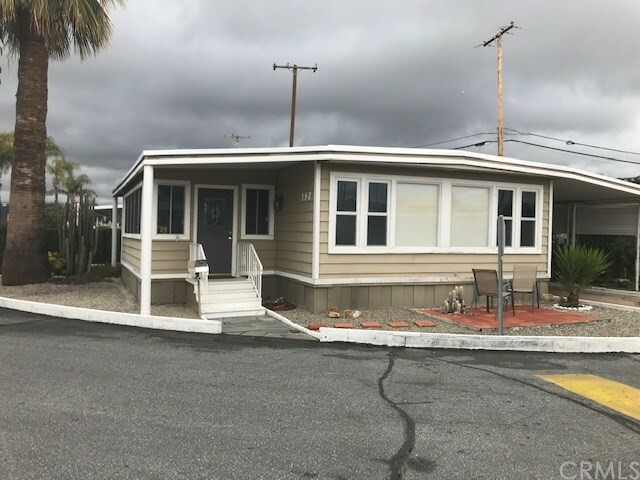 Clean & Cozy Mobile Home on a nice big corner lot. Views of the golf course across the street. Near the Clubhouse facilities and swimming pool. New paint inside, carpet and laminate flooring. New central air conditioning. Large front windows. 2 year old washer, dryer, refrigerator, microwave and dishwasher. Enclosed covered patio with a new air conditioner. Park has a newly remodeled clubhouse, new refinished swimming pool and Jacuzzi. Inside the clubhouse is a flat screen TV room, kitchen with new stainless steel appliances, large dining room. There are 3 billiard tables. Lot of activities. There is a covered 6 lane shuffleboard court. The Golf Course also has 2 swing nets and a putting green. This Park is surrounded by the San Jacinto Mountains and the Idyllwild Mountains. Very scenic and relaxing Park.